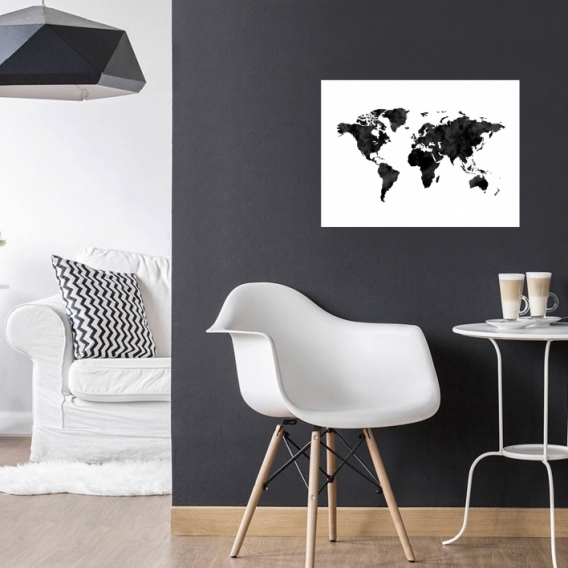 The world map in aluminum version for a design interior ! Fans of travel and around the world will be delighted with this design wall decoration. A black and white style that stands out perfectly on this aluminum frame. 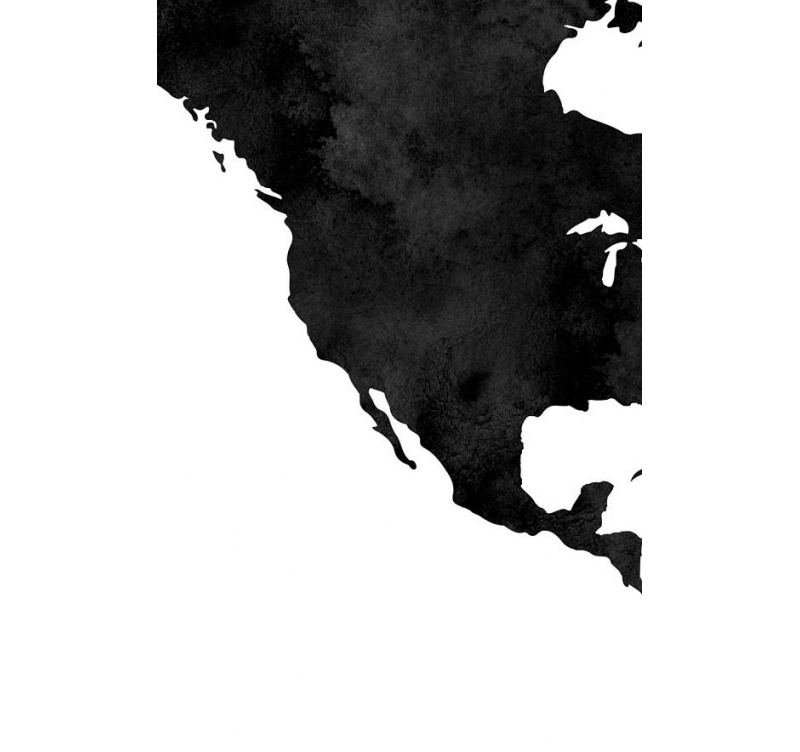 Shipping around the world for this art picture world map. 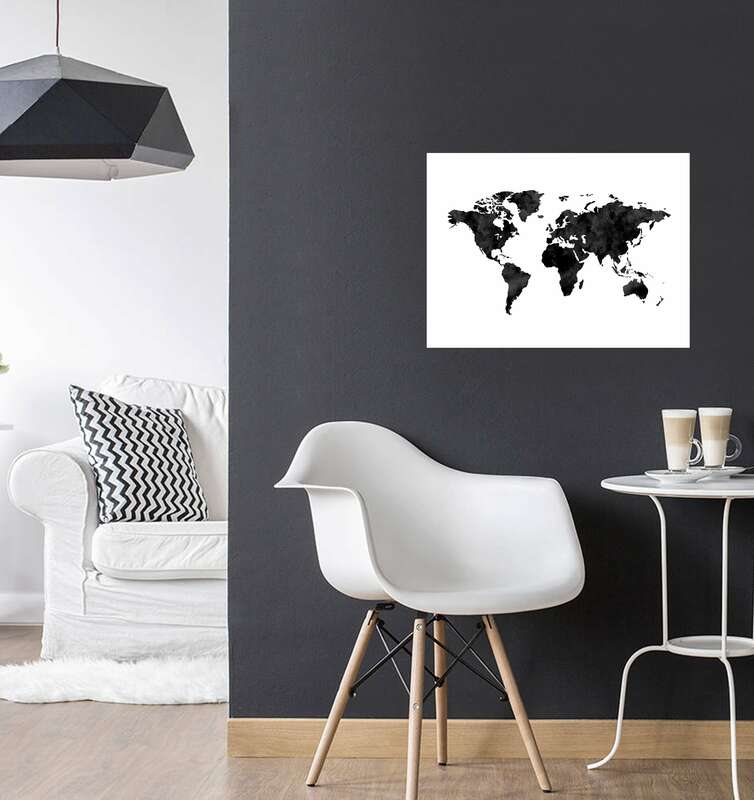 Our world map signed Artwall and Co comes in a decoration on aluminum ! 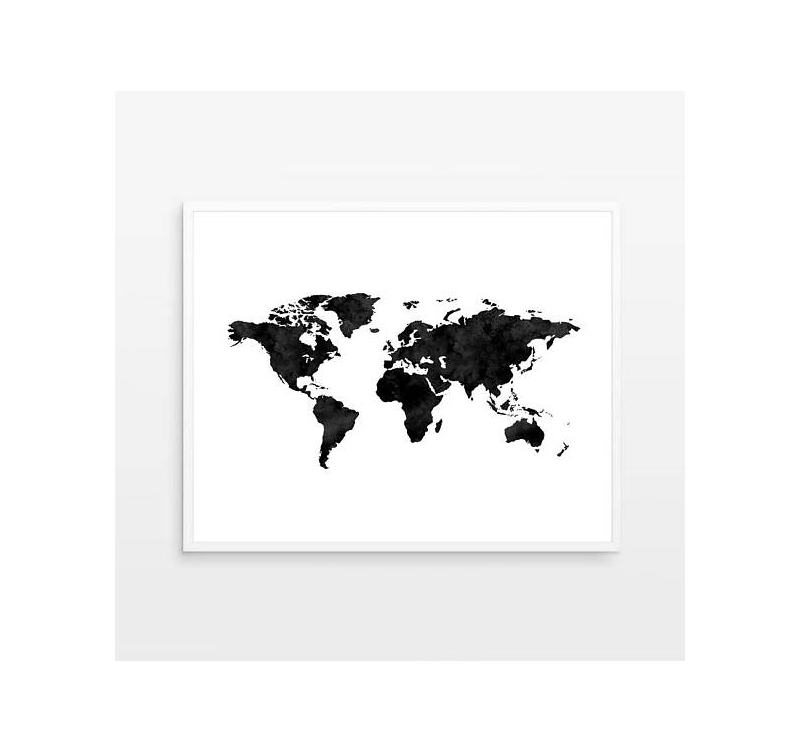 Discover the world map in black on a white background, which contrasts on different countries and continents. 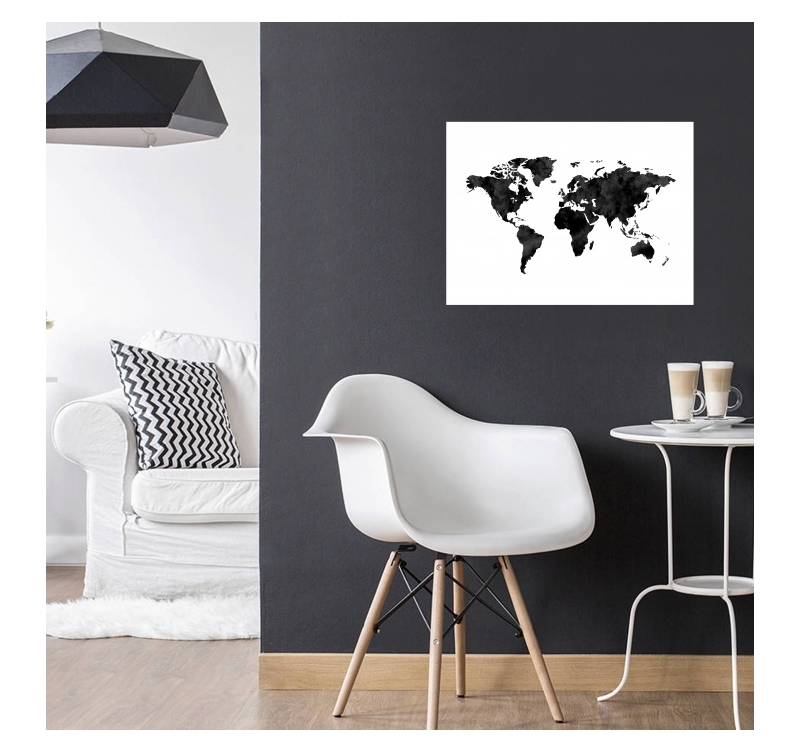 Very design and modern, the world map wall decorations are very fashionable and bring a real plus in any type of interior. 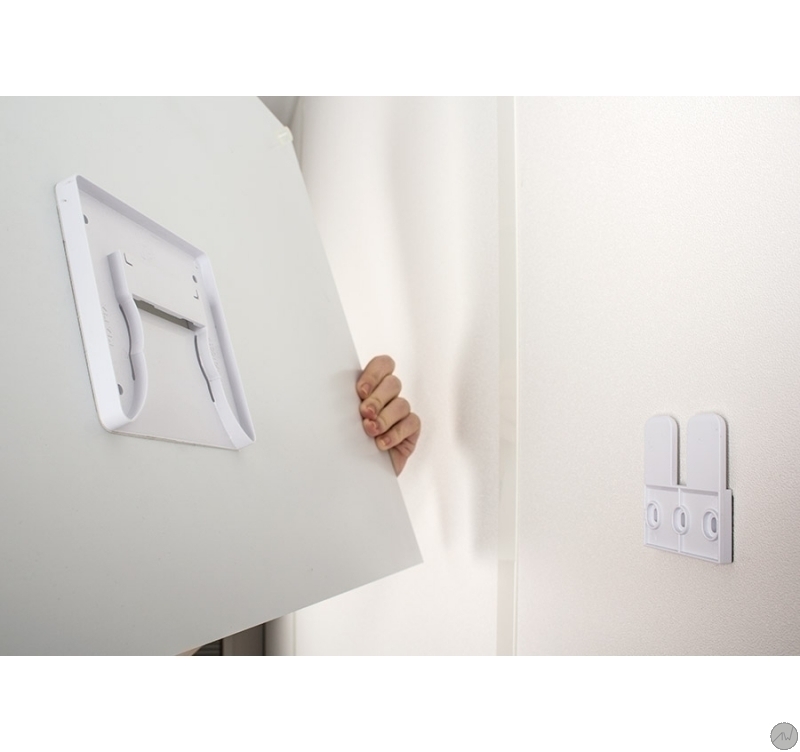 You can easily install multiple wall posters in one place to create a unique composition. 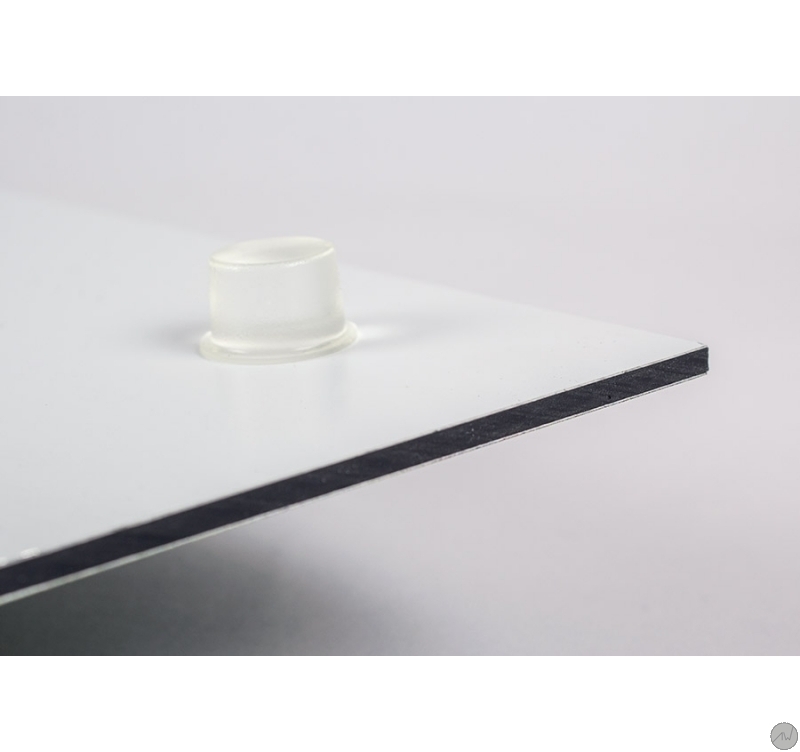 Printed on aluminum dibon for better quality, this contemporary frame is available in many sizes and comes with its fastening system for easy installation.